RETSCH offers test sieves that are adapted to meet the demands of particle size analysis. The company has developed an advanced manufacturing process that ensures consistency and quality in sieve production. Additionally, a logistic manufacturing system allows users to record all types of materials utilized in the process. The test sieves can be used for separation, fractioning and particle size determination. They can process feed materials such as suspensions, powders and bulk materials. 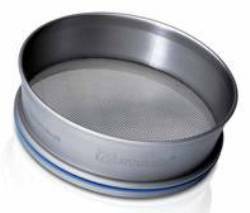 The test sieves are 15% lighter than customary sieves. Before delivery, each sieve is optically determined and granted a test report. A calibration certificate with detailed statistics or an inspection certificate with the measuring results is provided on request.